Because one day is not enough to celebrate the 40th Anniversary of David Lynch's remarkable Freshmen achievement, today we explore more of its remarkable impact as a cultural artifact. This is Part 2 of yesterday's article, "Happy 40th Anniversary Eraserhead (1977)!" A feature length directorial debut of a film student, Eraserhead is one of those rare cult films that decompresses directly in the subconscious like a film-equivalent of a zip file. 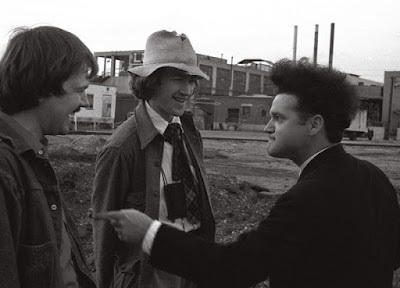 Eraserhead (1977) has come to mean different things to different people over the past four decades, which has always been David Lynch's hope and intention for the film. More than most filmmakers, David is dedicated to stirring up strong feelings in his audience and giving them a dream-like journey that affects and changes the way we think about things. 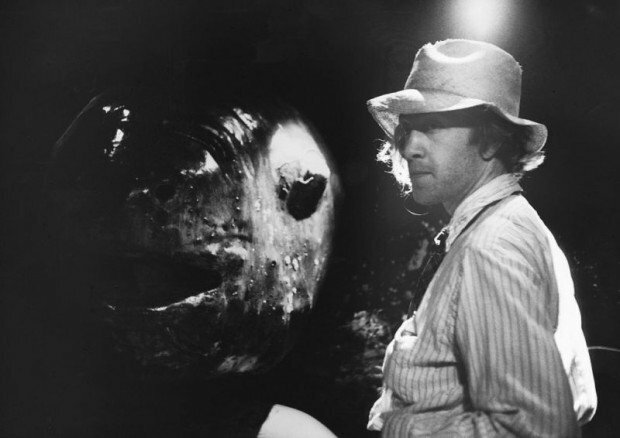 Although many filmmakers ostensibly set out with this same goal in mind, David Lynch is one of the few that follows through on that commitment to the subconscious. Surreal audio and visual symbols are not just adornments to his story, but they are literally part of the story itself. The feeling, emotion, environment, and sense of place of the film is just as important to David Lynch as the characters and plot. More so, even. And while many critics, reviewers, fellow filmmakers, and cinema enthusiasts might offer intriguing glimpses at the meaning of Eraserhead (1977), I think it is always important to watch David Lynch films in the mode of going to a concert. The music can be an end in and of itself and does not necessarily have to lead the listener down an intellectual rabbit hole. On one level, David Lynch's films are meant to be experienced and enjoyed this way. But to be fair, at the same time, David Lynch does also leave a trail of cinematic breadcrumbs that lead you down the path to discover strange and hidden mysteries within his cinematic text. And reading and interpreting that text is an equally pleasurable experience as going along for the ride, too. This dichotomy is at the heart of all of David Lynch's work. It is almost like David Lynch is challenging us to engage with his films in mutually exclusive and non-overlapping ways. Whether "listening to the music" or "hunting down the clues," his audience members persist to engage and re-engage with his work in part because his films do work as standalone works of art that should just be breathed in and experienced, or as complex, multi-layered examinations of the human heart and mind. 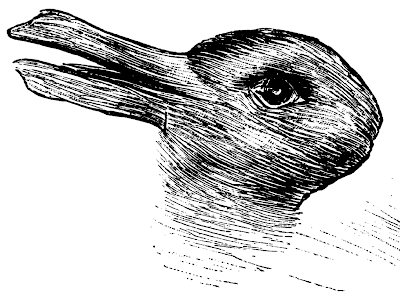 It is like this optical illusion, which forces us to ask if it is a drawing of a rabbit or a duck? 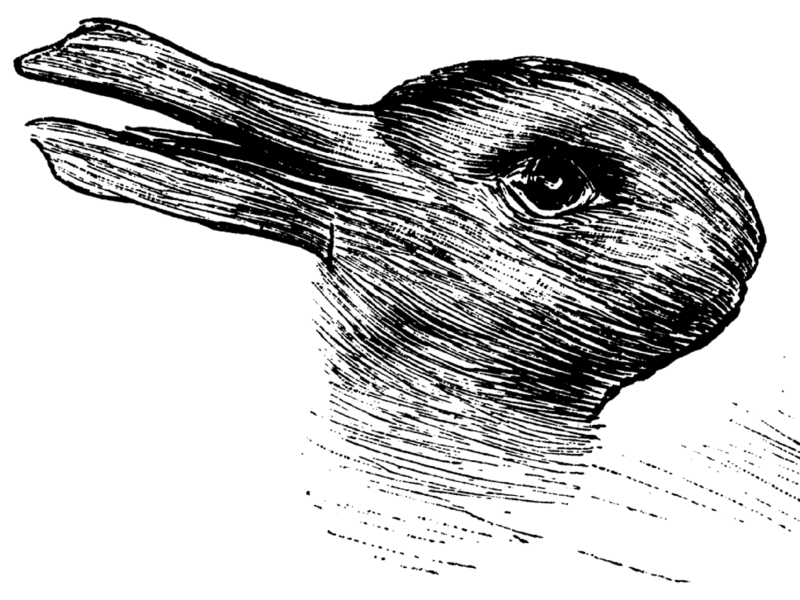 And while you and a group of friends could debate it at length, the truth is that it is a drawing of both a rabbit and a duck, depending on how you choose to look at it. Likewise, I feel David Lynch's films and TV shows are purposely designed with a similar quality, a cinematic illusion. This illusion can polarize his viewers, some of whom see little or no meaning and others who see a great deal, but which ultimately might both be accurate depending on how you choose to look at it. And while we may never know exactly what every detail and symbol of Eraserhead (1977) means explicitly to David Lynch, nor why it is his most spiritual film, we do know how it makes us feel after viewing it. And a mixture of queasy, distressed, and troubled in cinema has rarely been so compelling and thought provoking. You can read Part 1 of this article here.